“Stream Team” is Channelkeeper’s volunteer-based creek water quality monitoring program. Once a month (typically during the first weekend of each month), volunteers visit established sites throughout the Ventura River (Saturdays) and Goleta Valley (Sundays) watersheds to gather data on water quality while also getting better acquainted with their local creeks. We provide training to all new volunteers. Volunteers test several water quality parameters in the field using hand-held portable meters, and also take samples that are later analyzed for bacteria and nutrients in our laboratory. New volunteers are always welcome. We do not recommend this activity for children under the age of 6. Children between the ages of 6 and 14 should be accompanied by a guardian. Visit our calendar page for upcoming Stream Team sampling events, or email molly@sbck.org or call us at (805) 563-3377 ext.5. 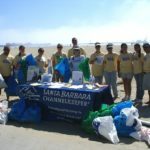 Channelkeeper conducts frequent beach and creek clean-ups to help keep trash from entering the ocean and to make our beaches cleaner and more enjoyable for local citizens, tourists and wildlife. Volunteers are always appreciated to assist with these efforts! 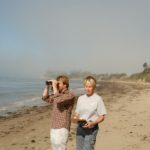 Channelkeeper’s MPA Watch monitoring program trains and engages volunteers to help us record and track human activities in and adjacent to the Marine Protected Areas (MPAs) off the Santa Barbara coast. 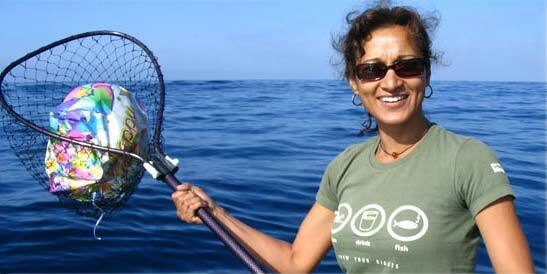 To learn more about MPA Watch, please email penny@sbck.org or call us at (805) 563-3377 ext. 4. Channelkeeper hosts various events throughout the year, including the Blue Water Ball (our annual fundraising gala) and an ocean-themed student art show. Volunteers are needed to help with all aspects of these events, from soliciting auction items to selling tickets to helping out at the events themselves. Channelkeeper tables at several local events to educate the community about our issues and work, including Earth Day, the Harbor and Seafood Festival, and others. Volunteers are needed to help staff the Channelkeeper booth at these events, which involves speaking to interested community members about our work and signing up new members and volunteers. We are often in need of help at our office, with everything from data entry to envelope stuffing. If you would like to help around the office, please contact us at (805) 563-3377 ext. 6.